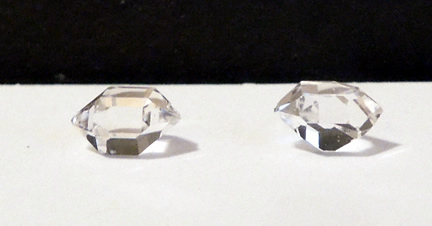 Weight: 1.17 ct. each / 2.34 total ct.
8x6x.4.5 mm / 1.17 ct.
8.25x5.75x4.25 mm / 1.17 ct. 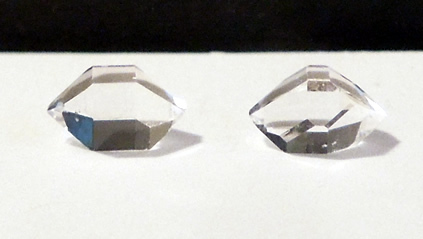 Both have excellent clarity, sharp points, clean facets and a flat bottom. 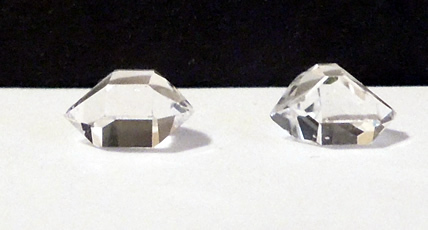 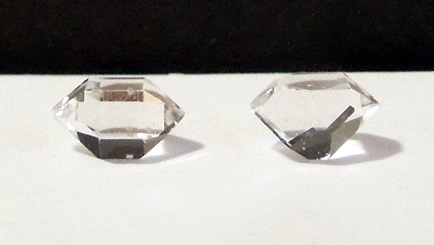 Herkimer Diamonds have a hardness of 7-7.5 on the Moh's scale of hardness, hard enough to cut glass. 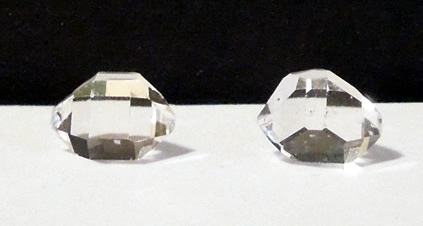 They are a sturdy gemstone that remains brilliant over time. 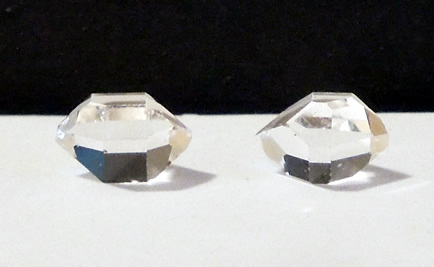 This matching set is a great size for a perfect pair of earrings.